Need for Speed, the reboot series of the Electronic Arts hit the PS4 and Xbox One soon, with the PC version scheduled to hit stores in 2016. With this in mind, we gathered all the game information to date. The title is scheduled for release on November 3, 2015. Electronic Arts decided to start the franchise Need for Speed from zero, and introduced a new game that despite bringing elements from previous games, promises to innovate. The unprecedented title puts the player in control of the passage in a new city, and uses tuned cars in various competitions against the computer or other users. In theory, it's just another game Need for Speed franchise, but it seems, EA and studio Ghost Games are preparing something new for the audience. In Need for Speed, the player will have a huge map to browse and play new races. These competitions will be divided into five styles. Each with a "head", which you will impress and overcome to become the "King of the streets." Outlaw: its speed caught the attention of local police, who will do anything to arrest him Increase your fame and become the most sought corridor of the city. These modes will be scattered around the map, and can be accessed in the order you prefer. Need for Speed: Underground 2 is probably one of the most known titles of the NFS franchise. In the wake of the release of the first film in the Fast and the Furious saga, the ability to tune up cars and modify the look and performance made the head multiplayer. The new Need for Speed, EA decided to bring this freedom to the player, and allowed numerous changes in the game's vehicles. In the trailer only focused on customization of cars, it is remarkable the amount of changes you can make in the car. Another novelty is the different way of getting money into the game. According to the Ghost Games, the title will not be micro-transactions as it will generate money through tanned posts in the exclusive social network. It was explained that the title will function to take pictures during gameplay. Like each obtained shall be converted into the currency of the game. 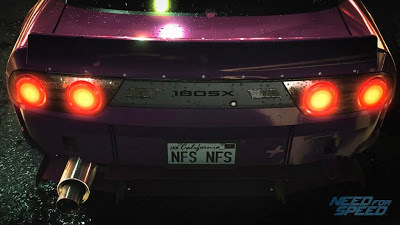 According to Marcus Nilsson, Executive Producer of NFS, this functionality is part of the new version of Autolog and is one of the reasons why the production needs constant internet connection. One of the points that most stand out in our trailers released Need for Speed is the quality of graphics. Since the first video, released during the presentation of EA at E3, realism and graphic excellence really impress. The question is whether the new Need for Speed will have some music on the soundtrack of the original soundtrack of NFS Underground. Perhaps lacking just that to the delight of nostalgic fans. Need for Speed will be released on November 3 for PlayStation 4 and Xbox One. The version of the PC game should arrive in the first half of 2016.